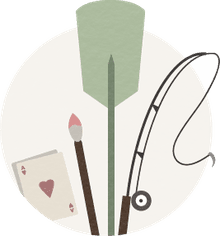 Whether you frequent the gaming tables in Cleveland, Las Vegas, or elsewhere, you probably give little thought to the symbols and history associated with the playing cards in your hand. Yet many of these cards are loaded with symbolism, including the ace of spades, which is also known as the death card. In order to understand how the ace of spades became the death card, it's necessary to know a little about the origin of playing cards. While the history is somewhat murky, it's generally accepted that the Chinese started using "paper dominoes" sometime in the 10th century in their recreational games. Eventually, as trade spread westward, imported playing cards appeared in Europe. Sometime around the start of the 19th century, Americans began producing their own playing cards. Over the years, they continued to refine and standardize the decks, producing innovations such as rounded corners that were much more resistant to wear and tear. In 1867, three men founded a printing business in Cincinnati, Ohio, that would ultimately become the United States Playing Card Company. Today, that company holds the number-one market position in terms of U.S. sales, and its Bicycle brand has become synonymous with playing cards. As playing cards evolved, the depiction of the four suits and face cards evolved as well, often according to individual, regional, and cultural tastes. For instance, the Italians depicted the forerunner of the modern spade as a sword, while playing cards produced in Germanic countries used a leaf standing on its stem. In order to simplify the design of playing-card suits, the French used the silhouette of the Germanic upturned leaf, which resembles the modern spade, but the symbol likely retained its association with war, killing, and death. In Latin, the word spatha, the root of the modern English word spade, refers to a "broad, flat weapon or tool." In addition, the French referred to this suit as piques, meaning pikes. A pike was a two-handed weapon composed of a long wooden shaft and a flat, pointed blade. It's not difficult to see the shape of a pike in our modern spade. Just as linguistically significant, however, is the fact that a spade also refers to a type of shovel with a wide, flat, thin blade, often used to dig a grave. Even in today's era of mechanical excavators, spades are still used by cemetery workers to crisply cut the grave outline in sod and/or to finish the sides and floor of the grave. What forever sealed the association of the ace of spades as the "death card," however, occurred during the Vietnam War. According to the United States Playing Card Company (USPCC), a pair of American lieutenants serving overseas wrote the company in February 1966 and asked USPCC to send them ​entire decks consisting of the ace of spades. The Viet Cong allegedly feared this card because of the superstitions surrounding it as a harbinger of death. In addition, the Bicycle brand uses Lady Liberty within its ace of spades symbol, which the enemy reportedly considered the "goddess of death." The USPCC shipped thousands of these specialty decks overseas, where American troops used them as a form of psychological warfare against enemy forces in Vietnam. 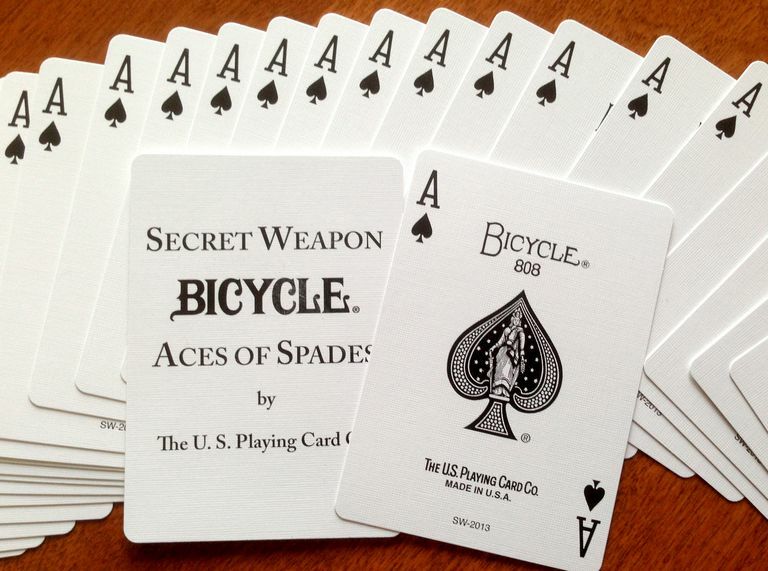 (The packaging of each deck was even labeled "Bicycle Secret Weapon.") Scattering these death cards in real or suspected hostile areas reportedly caused the Viet Cong to flee. In addition, some American troops would leave a single ace of spades card on the body of an enemy kill to indicate "We were here" or "We're coming for you." "Our History." Bicycle Cards, 21 Nov. 2018.